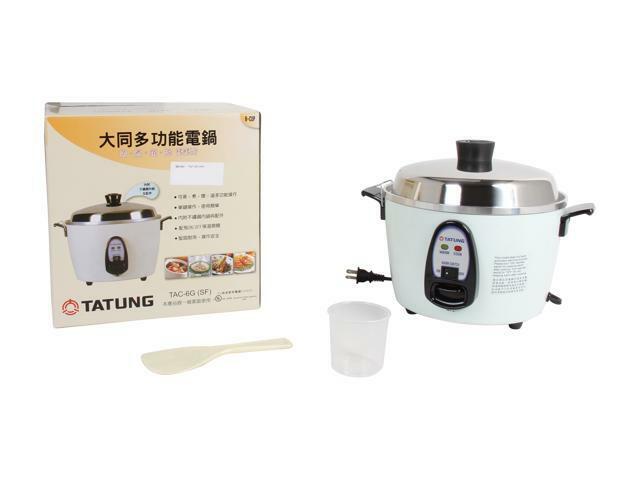 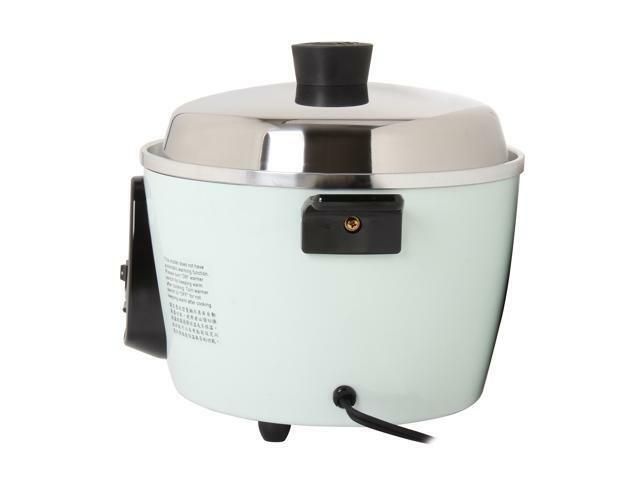 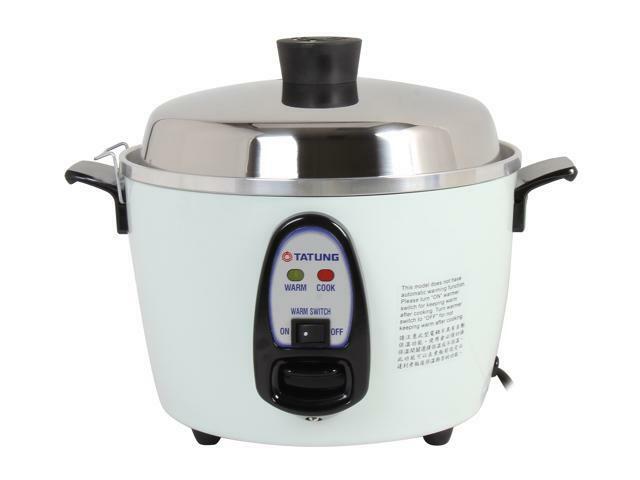 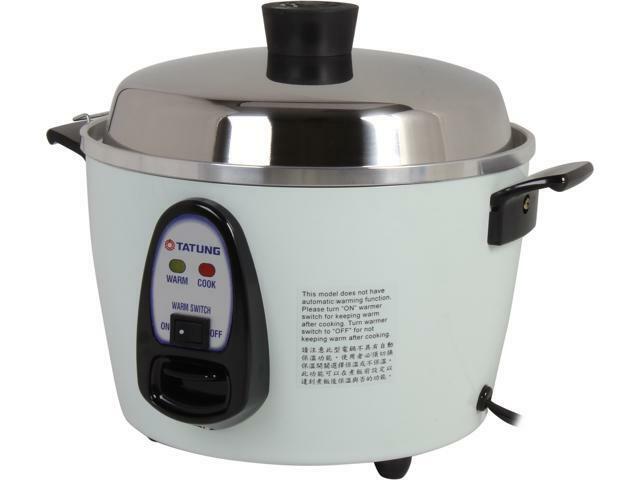 Tatung's easy to use one step rice cooker features a 6 or 10 cup serving capacity that will cook your rice to perfection. 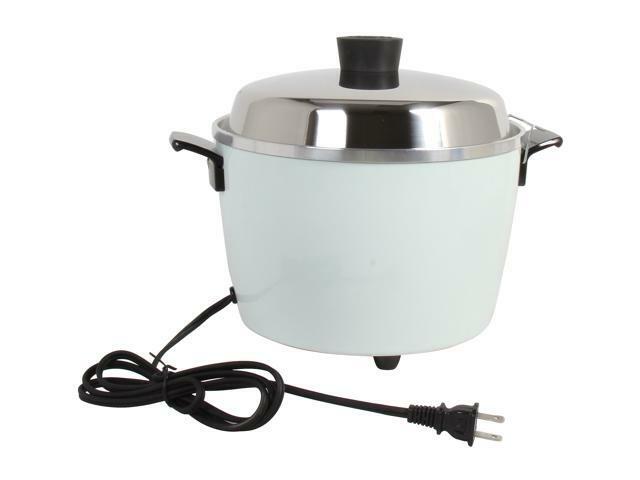 Once your rice is cooked, the cooker will automatically switch to keep-warm mode and keep your rice at perfect serving temperature for up to 6-8 hours. 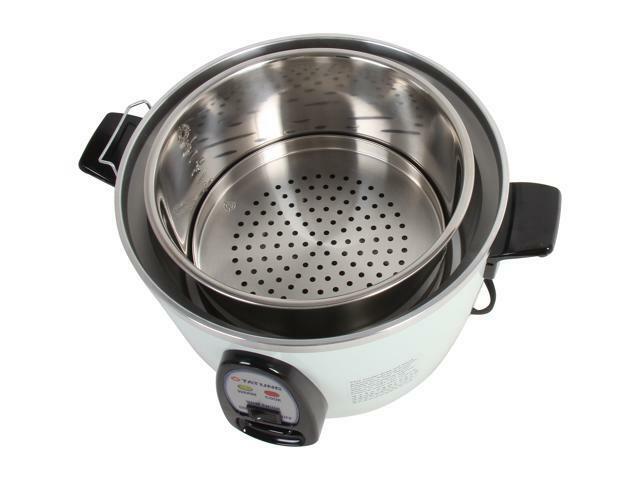 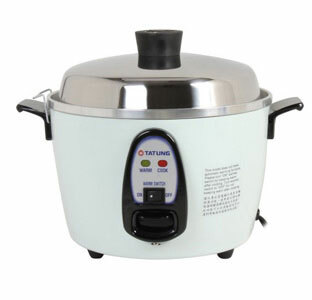 It can also function as a steamer to give you more options for your dining pleasure. 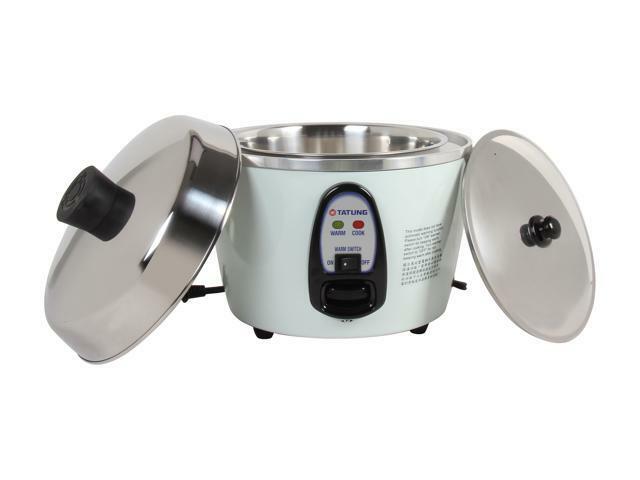 Accessories include steam tray, rice spatula, removable spatula holder, and measuring cup. 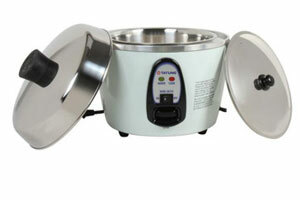 Box Dimensions (WxDxH) TAC-10G (SF) - 12.5 x 12.5 x 11.5in. 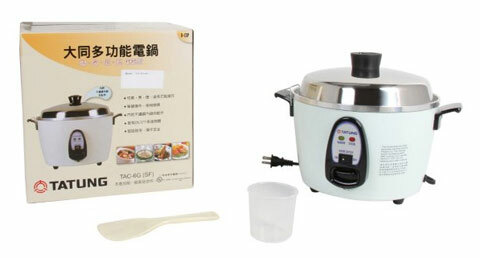 TAC-6G (SF) - 11 x 11 x 11in.